The Malaria P.f./P.v. 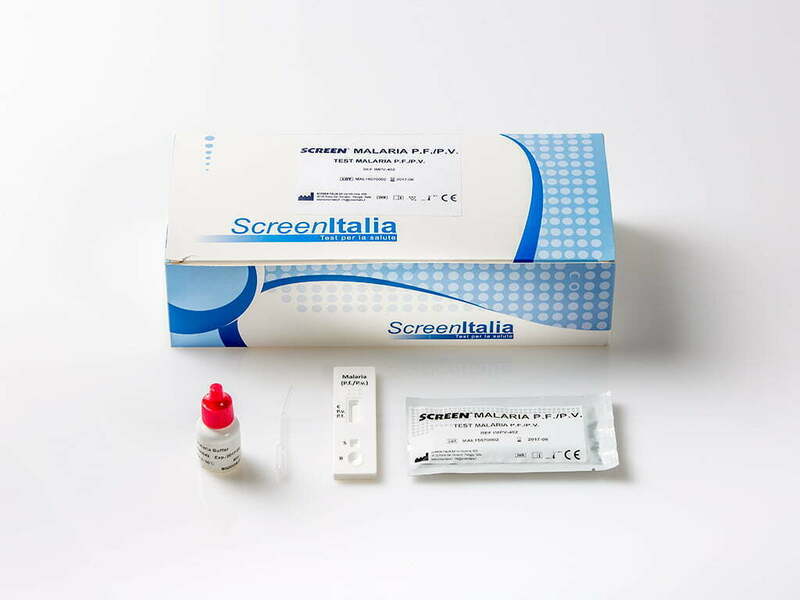 Rapid Test Cassette (Whole Blood) is a rapid chromatographic immunoassay for the qualitative detection of two kinds of circulating plasmodium falciparum(P. falciparum (P.f.) and P. vivax (P.v.)) in whole blood. A rapid test for the qualitative detection of circulating antigens of P. falciparum (P.f.) and P. vivax (P.v.) in whole blood. The Malaria P.f. /P.v. Rapid Test Cassette(Whole Blood) is a qualitative, membrane based immunoassay for the detection of P.f. andP.v. antigens in whole blood. The membrane is pre-coated with anti-HRP-II antibodies and anti-pLDH antibodies. During testing, the whole blood specimen reacts with the dye conjugate, which has been pre-coated on the test cassette. The mixture then migrates upward on the membrane by capillary action, reacts with anti-Histidine-Rich Protein II (HRP-II) antibodies on the membrane on P.f. Test Line region and with anti-pLDH antibodies on the membrane on P.v. Line region.